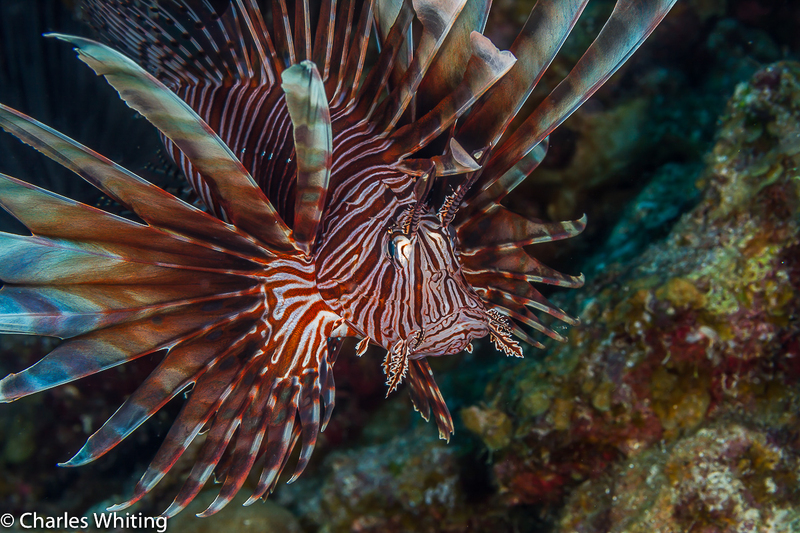 A lionfish floats motionless above the reef. Belize. Photo © copyright by Charles Whiting.